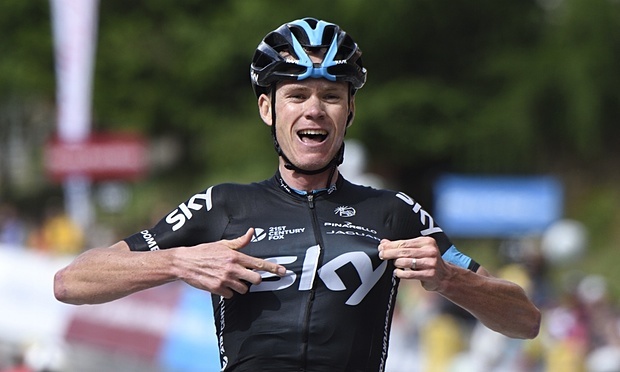 2015 Giro d’Italia Results – Where did the Aussies finish? This post took a lot longer to write than I thought. In fact this could be the only list of its type on the WWW. I had to fish through the individual stage results to figure out, who DNS and DNF amongst the Aussie contingent. kicked off with a 17.6km team time trial. Of the 196 riders that started only 163 finished. The race was won by Alberto Contador (above in case you can’t recognise him) and the Lanterne Rouge, place 163, was Marco Coledan (Ita) of Trek Racing, who finished 6:40:13 behind. I wonder if Contador will be able to go the double given Chris Froome’s performance in this week’s Critérium du Dauphiné. I’m counting the days until the Tour de France. This entry was posted in Grand Tour, UCI Events and tagged Alberto Contador, Chris Froome, giro d'italia, orica-greenedge, team sky, tour de france on June 19, 2015 by Marv.